Did you know that WordPress generates additional image sizes whenever you upload a photo? These extra images take up space on your hosting server. For a photographer with hundreds of thousands of photos, these additional image sizes can create issues. In this tutorial, we will share how to stop WordPress from generating image sizes. First thing you need to make sure is that you choose a reliable WordPress hosting like Hostgator or WPEngine that gives you decent disk space to upload all your photos. Especially if you’re a photographer or uploading a lot of photos, we recommended that you always keep regular backups of your WordPress site. In fact, every website owner should be keeping backups in case anything goes wrong with your site. However, even though you have a lot of space to upload many photos, these extra photos will slow down your backup process and create heavy backup files on your server. When you upload an image in WordPress, it creates three default sizes: thumbnail, medium and large. 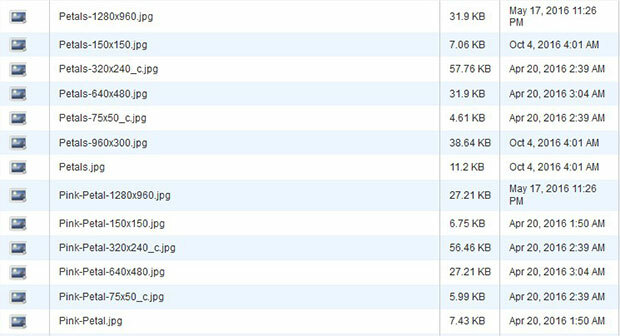 However, you may also find other image sizes being generated by your WordPress theme. To check for additional image sizes, you can go to Media » Add New from your WordPress backend. Go ahead and upload an image. Now you should connect your site using FTP client or cPanel. Simply go to the /wp-content/uploads/ directory. In our case, we have 6 extra sizes being generated for each image uploaded. These include the default WordPress sizes, and images that are generated by our particular WordPress theme. Next, since you now know the number of additional copies for each image, you can simply go to Settings » Media from your WordPress admin backend. Then you’ll need to change all the values to 0, so it will stop WordPress from generating additional image sizes of your photos. Other image sizes aside from the 3 default sizes are being generated by your theme. To stop this, go to Appearance » Editor and edit the functions.php file of your theme. These functions like set_post_thumbnail_size and add_image_size are used in your theme’s file to create additional image sizes. 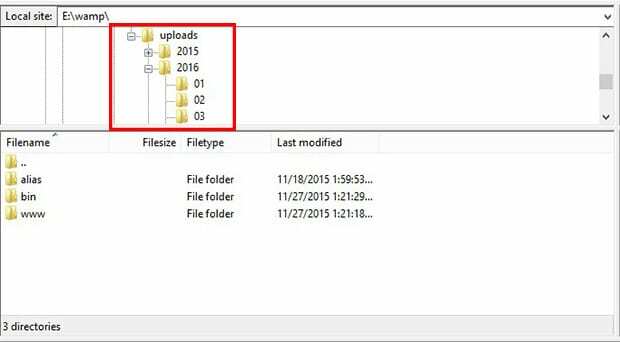 Simply delete these lines of code to prevent your WordPress theme from creating any additional copies of your images. That’s all. We hope this article has helped you to learn how to stop WordPress from generating image sizes. You may also want to check out our guide on how to resize WordPress images automatically. But won’t the theme functions file be overwritten when the theme is updated? Shouldn’t this be done in a child theme? I did what you said but now I have no feature image. I’m tired of wordpress adding multiple images. It should be one compressed image. This is likely because the theme is using 1 of those sizes that you have removed. Most likely the thumbnail size. Add the thumbnail size back in and see if that corrects your featured images. If the theme is using a different image size then you could repeat that for each size in WordPress >> Settings >> Media. But this is the theme causing the issue. Hope that helps!